Do you dream of the day you can graduate from cosmetology school and pass the state licensing exams for a rewarding career in beauty, but you’re not sure how you’re going to pay for it? 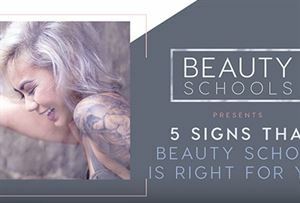 Are you looking for a way to pay for your cosmetology education at the beauty school of your dreams? Apply now for a chance to win a $2,500 cosmetology scholarship from Beauty Schools Marketing Group! If you’re ready to begin a fulfilling and rewarding career in cosmetology, it all begins with choosing a cosmetology school that's right for you. If you are worried about finding the money to pay for cosmetology school tuition, some schools offer scholarships or financial aid, and now Beauty Schools Marketing Group is offering a $2,500 cosmetology school scholarship to help cosmetology school students live their dreams! 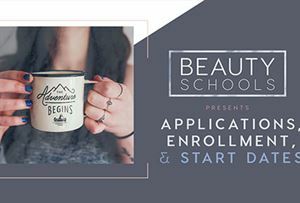 Apply for the Beauty Schools Marketing Group scholarship below, and then find cosmetology schools that are a good fit for you to get started down your beauty career path. Applicants may submit one application per session. What inspired you to pursue beauty as a career? Explain why you feel you should be chosen to receive a cosmetology school scholarship. What are your future career goals after getting licensed? Where do you hope to be in 10 years?